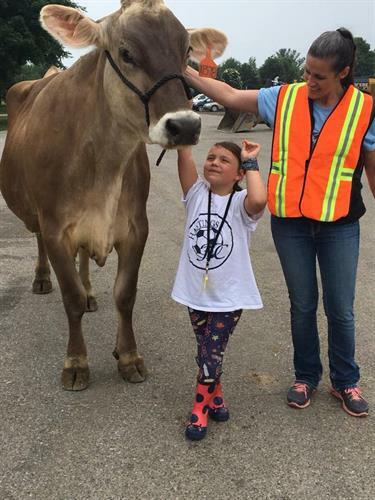 Join us at SwissLane Farms for Dairy Day Camp 2019! -Learning how to milk a REAL cow. -Bottle feed the baby calves. -Watch and learn about Robotic Milkers. -Make homemade butter and ice cream and taste-test dairy foods. -Get farm tough with some basic chores. 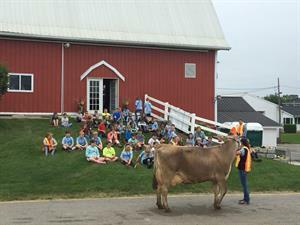 The highlight: Kids are assigned their own calf to care for, train, and even give her a bath during this 3 day event! On the last day they participate in a Calf Show! Bring a sack lunch everyday.